Are Polar Watch Black Friday Discounts Likely? Compared with the likes of Apple, Samsung, Garmin and Fitbit, Polar are relatively small players in a saturated smartwatch and fitness tracker market. Therefore, some Polar Watch Black Friday deals could be a good tactic to try to boost sales and establish themselves further. We have analyzed past price data to predict that there could be 10-20% off on Black Friday 2018. We will be posting any Polar Watch Black Friday & Cyber Monday deals we find, so return here for updates! 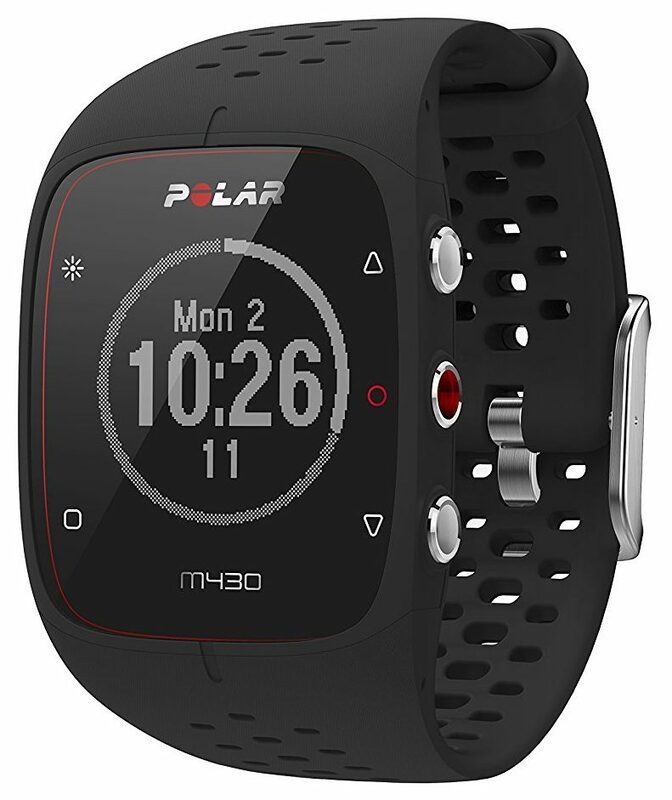 Interested in Polar Watches & Fitness Trackers this Black Friday? Polar are a manufacturer of sports training devices including fitness trackers, smart watches and bike computers. There are a number of different models available with different features. What’s right for you will depend on your individual preferences, so take a read through some key points to consider when buying a Polar watch on Black Friday 2018. Display – Is the display touchscreen? Is it full color or black and white? What’s the resolution and screen size? Heart Rate Monitor – Does it have a built in HR monitor that tracks pulse from the wrist? If not, is it compatible with a HR sensor accessory. Accessories – Are there more sensors to gather additional data? E.g. running and cycling sensors. Battery Life – How long will it last in different watch modes before needing a recharge? Design – How lightweight is the design? Does it resemble a traditional watch style or is it more of a wrist band? GPS – Does it have built in GPS for tracking? Some models, such as the Polar A370, can be paired with your phone to use its GPS for tracking. Fitness Tracking – What fitness metrics does it track? E.g. time, distance, calories, steps etc. Does it also track sleep? What functionality does it have for tracking specific sports or activities? Smart Notifications – Can it be paired with your smartphone for on-wrist notifications? Polar Flow App – Some models are compatible with the Polar App for in-depth analysis of your activity data. Water Resistance – What, if any, water resistance rating does it have? Customization – Some watches, like the M600, feature Android Wear 2.0. This gives you the freedom to personalize watch faces, download 3rd party Apps via Google Play, and more. As you can see, there are a lot of different features that can vary between the watches. Hence why we always recommend to read up fully when buying a Polar Watch on Black Friday & Cyber Monday. Check out some popular options in the range below.